Getting better at this #amwriting stuff! There are many small victories along the way when one self-publishes a book, and my advice to other writers is to find, embrace and cherish each one of them them. This takes a tremendous amount of time and effort, and if you don’t let yourself enjoy the little milestones along the way it is easy to burn out. For me, the first step with a new book is always publishing on Kindle. It is easy to make minor corrections there, Kindle Select offers publicity tools to use right away, and the process is quick and forgiving. At least, that has been my way for four books now and it looks to be how I’ll handle my fifth book this fall. I owe a thank you to fellow writer Michael Brookes who alerted me early on about taking my kindle book and putting it out in paperback using Create Space. The formatting was a lot of hard work the first time I did it, but it was free if I did it myself and so I learned. When c3 came out in paperback a couple of weeks ago, it was my fourth time working my way through the process and the good news was that it probably took me a third of the time. That was cause for a celebration. Then it was on to the last and ultimate challenge. Smashwords. For those of you not yet familiar with Smashwords.com it is a website where you can publish your own electronic book and buy a lot of others. It’s chief charm to a writer, however, is that it will take your ebook and distribute it in multiple formats to ten or more other sites. It will also allow you to easily give your book away via coupons that do not violate your agreement with Amazon or anyone else. The downside? Because they redistribute your book to so many others, the formatting requirements are stringent and hard to follow. With my first three books I threw up my hands in despair and paid someone else to format them for me. BUT NOT THIS TIME! (Forgive the caps, they were a sort of victory cry.) As of a few days ago c3 as formatted totally by me has successfully passed through the vetting process at Smashwords and been cleared for take off. Wahoo! It is already out there at iTunes and Barnes & Noble. Yes, this self-publishing process can make you absolutely crazy. It might anyway, but at least you’ve got to let yourself celebrate the little things along your path. c3 is now out in paperback and I have a press release about it! c3, a new metaphysical fantasy about out-of-body experiences,will be available in paperback starting June 10, 2014. 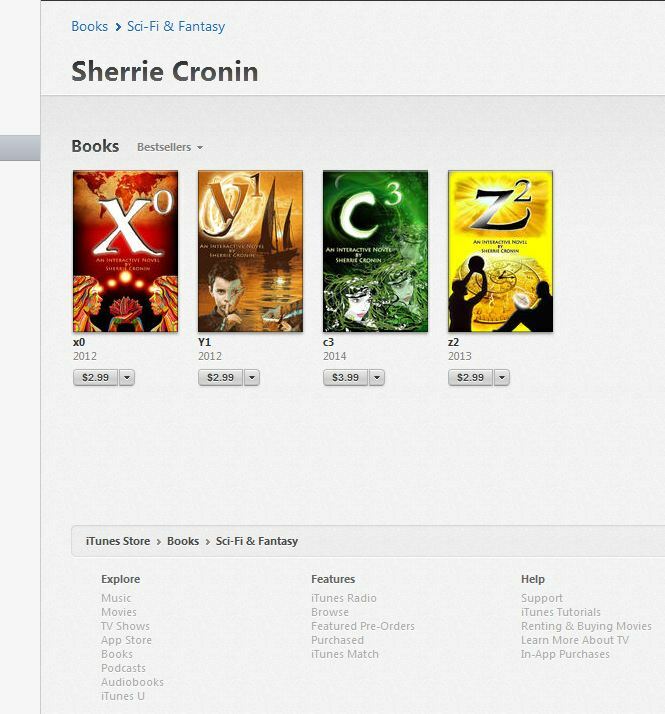 This is Sherrie Cronin’s fourth novel and copies are available for purchase at Amazon. See the authors website at 46ascending.org for more information. 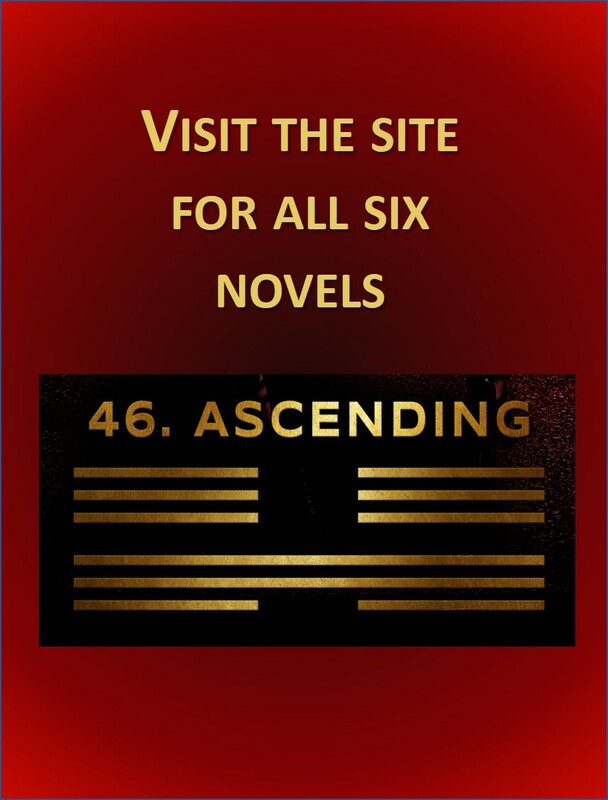 Sherrie Cronin is the author of 46 Ascending, a collection of loosely interrelated novels about five very different family members who each discover that they can do the extraordinary when circumstances require it. These books are designed to be read as stand alone stories or in any order. Each book explores a facet of magical realism, as its down-to-earth hero comes to understand the powers that he or she holds within. 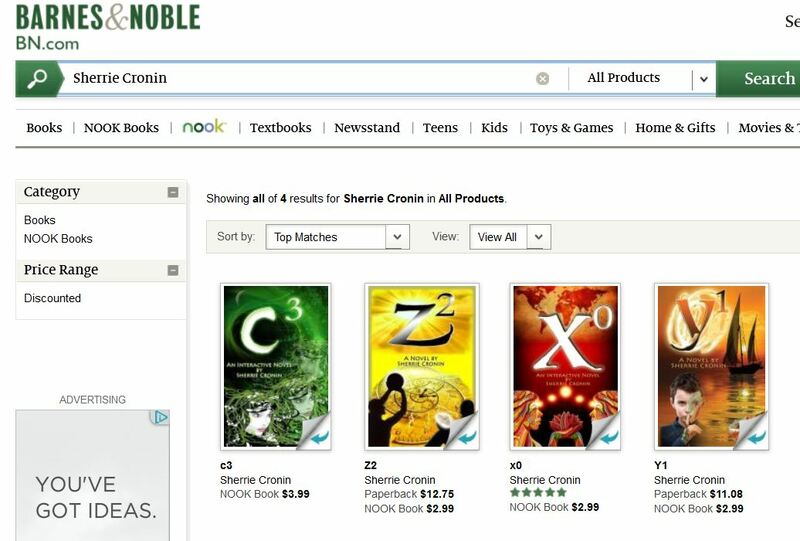 c3 is a book about an important topic aimed at fantasy lovers of all ages. 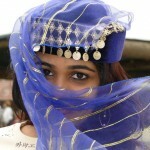 It describes a typical sixteen year old American girl who is confronted by the sale of girls and women when she studies abroad for a semester in India. To all appearances Teddie is helpless to aid her friends,but she slowly discovers that even the most vulnerable can be courageous and hold the power to cause great change. Thank you to the wonderful book blog “Books, Food and Me” for a great review and thanks to the blog’s author for her help as a beta reader of c3. c3 is going on tour! Click the image below to follow along with me and you can enter to win amazon gift certificates and free books. Or visit each of these blogs and enjoy all of the the various book reviews, author interviews and giveaways in progress. June 10 Feature Pembroke Sinclair.